Keep Mulch In – Grass Out! Beautify your landscape with maintenance free borders. Save hours of weeding and edging! Our mower strip allows trimming to the grass edge while mowing! Concrete landscaping borders provide a beautiful edge for your landscaping, and our edging is suitable for both residential and some commercial applications. We can help you give your home its’ needed “Curb Appeal” and make your landscaping beds more appealing and easier to manage! We invite you to learn more about why Curb Appeal, Concrete Landscaping Borders is the right choice for your landscaping needs. Do you want to enhance and control the flow of your landscaping? Concrete landscaping borders can keep your mulch in the flowerbed, and the grass out! Strong enough to withstand standard home-owner lawnmowers, and we’ll help you develop a flow in your beds that make mowing easier! You’ve found the right company! Locally owned and operated for over 18 years, we specialize in our borders! We’ve got the experience and the expertise that you need. Are you tired of people not showing up for appointments? Not us, we’re good to our word! 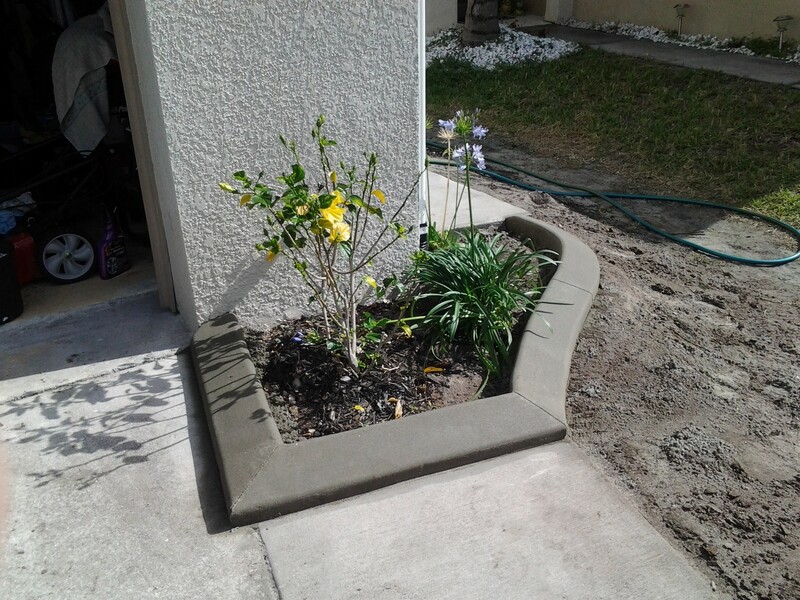 Curb Appeal Concrete Landscaping Borders, LLC has a philosophy that has kept us in business for 18 years – unlike a lot of other contractors in Central Florida, we believe in providing excellent service, at an excellent price. We show-up as scheduled, and most jobs are completed in one day. Perhaps you are wondering what concrete landscaping borders are; or how they work? 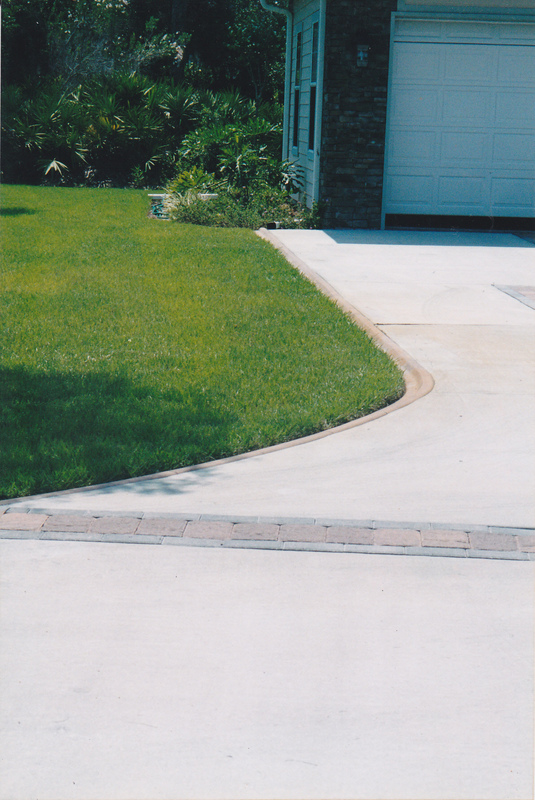 It’s a continuous concrete border – made to your specific needs and designs. Find out how it’s installed; from the initial design consultation to the finished product. You can also learn more about the various styles and COLOR CHARTS that we offer. Check out our testimonials page to see actual client comments. Here, we also showcase some of the many projects we have completed. Additionally, Curb Appeal, Concrete Landscaping Borders, has installed the edging that you see in each of the various photographs throughout this website. 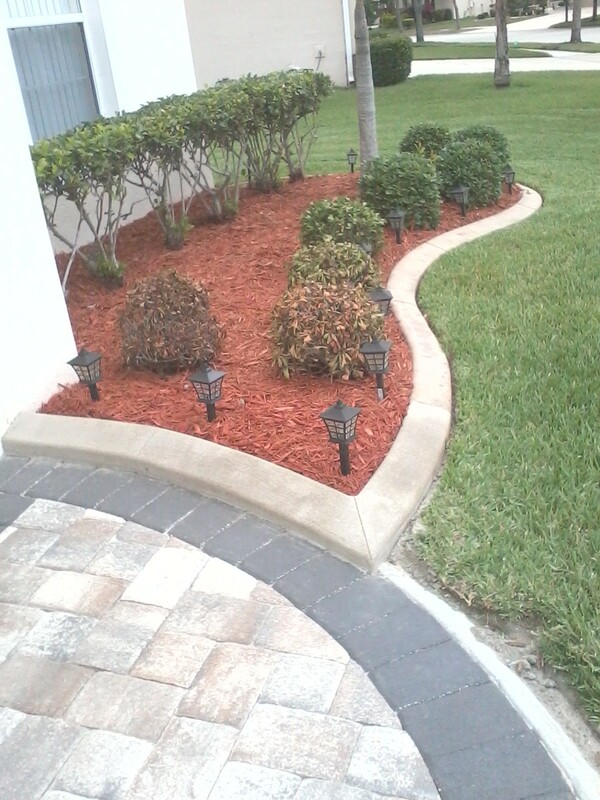 Call us today for your FREE estimate (within Central Florida). Scott installed beautiful borders in our front yard this morning. It brought our yard from “ho hum” to beautiful! I am VERY pleased with how carefully Scott and his assistant prepared the site, how quickly and expertly the concrete was applied, and how well they cleaned the area. Curb Appeal is a first class business in every way. 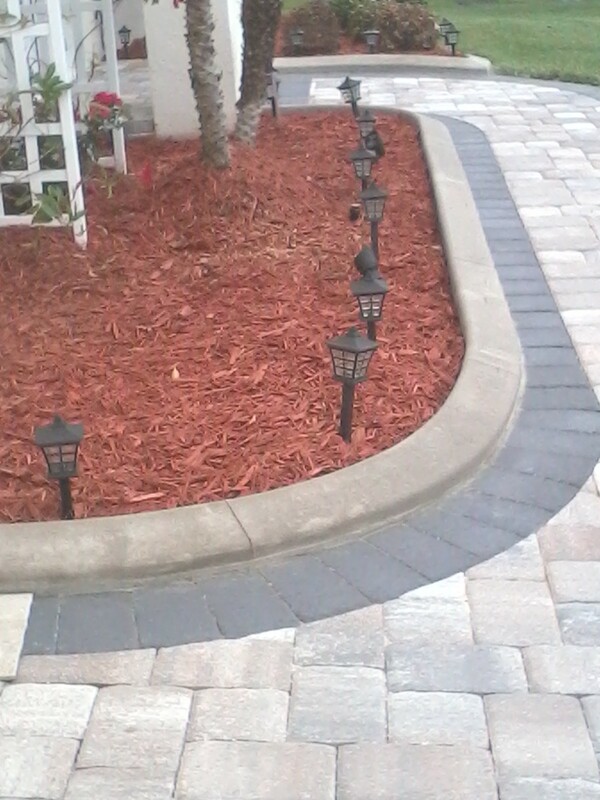 It looks classy, neat, and will corral those pesky mulch stones. I highly recommend Curb Appeal for concrete borders! Scott installed beautiful borders around my house and pool area. Looks great! He was very punctual and professional. I would highly recommend him to anybody who is thinking of having it done. Now need to fill with rock. Had my border installed yesterday and I am so happy, the work was great and it looks even better than I had hoped. The work was so professionally done, when I got home from work the area was so clean, you could not even tell it was just completed that same day.